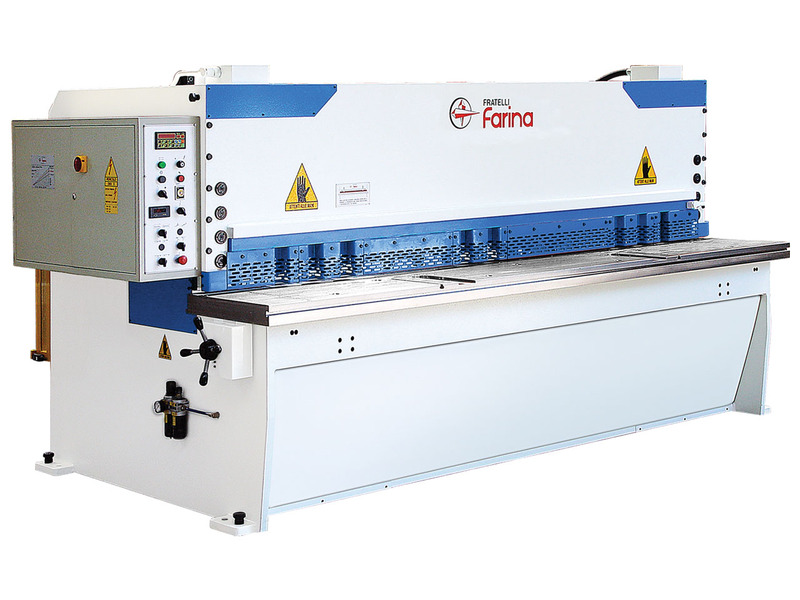 The CFO series hydraulic guillotine shears from Fratelli Farina are available in a full range of thickness capacities and cutting lengths. 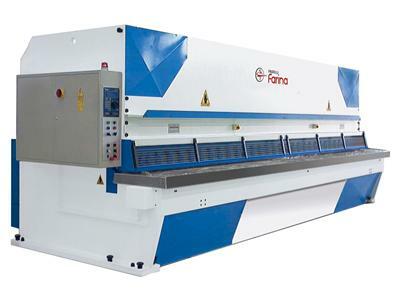 They are suitable for cutting various material types with different tensile strengths in a direct and less costly way than is possible, for example, with a plasma or laser machine. 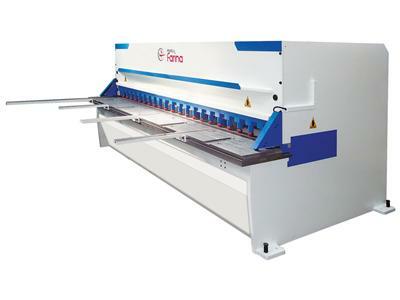 The cutting system is vertical with modern executions for cutting angle and blade gap adjustments. 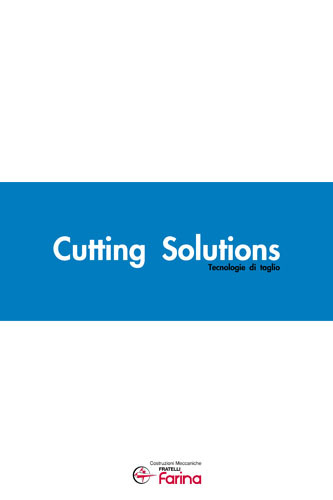 Our shears are built on three main principles : machine durability  operational reliability  perfect cut. 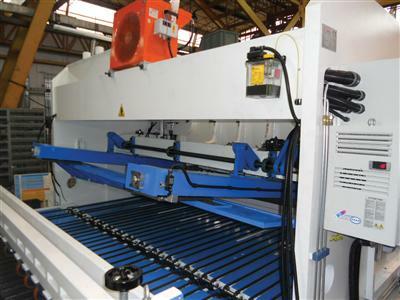 All of this is made possible by our very strong frame design and by the mechanical engineering properties that we have built into our machines. As a result, the cutting cyle rates are also notably very high on the Farina shears with the help of the special hydraulics that we are using. Farina shears come with many standard or optional equipment and features that make shearing a very productive cutting process. 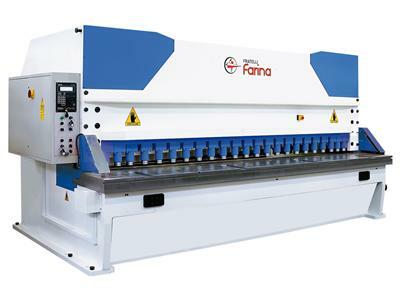 Fratelli Farina factory started with the manufacture of shearing machines more than 40 years ago. 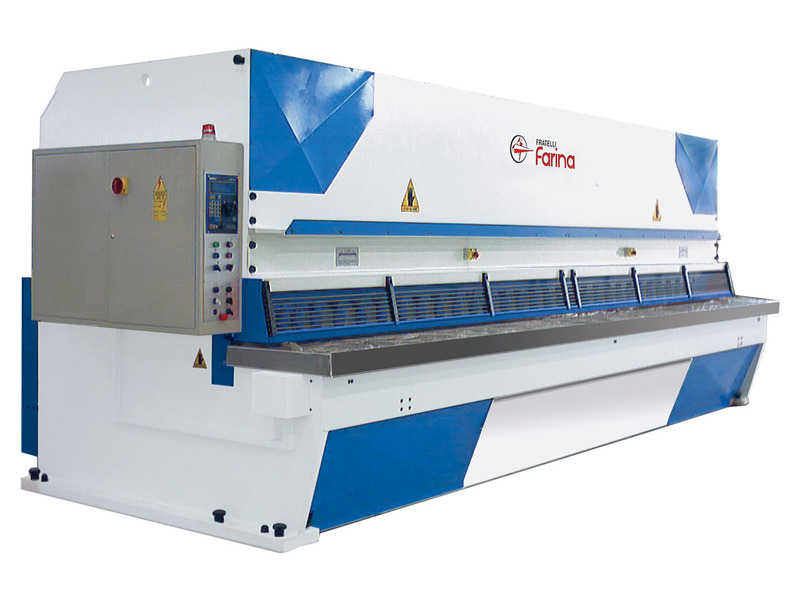 The massive experience gained from all those years of technical evolution enabled us to study and realize special solutions for any shear-cutting requirement, reaching to very large thickness capacities. 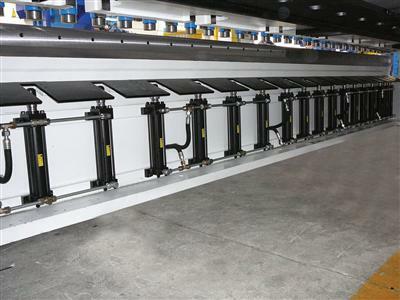 Large and extra-strong frame design for maximum structural integrity and minimum deflection under load. 500 mm large throat (up to 4 meter length). Holddown clamps with independent hydraulic circuit. 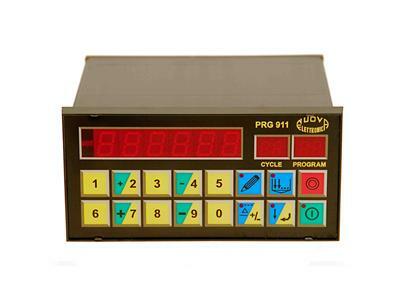 2-speed motorised backgauge with rapid travel on recirculating screws and with retract function. Full steel table with ball transfers for easy sheet handling. Side squaring arm and front support arms. 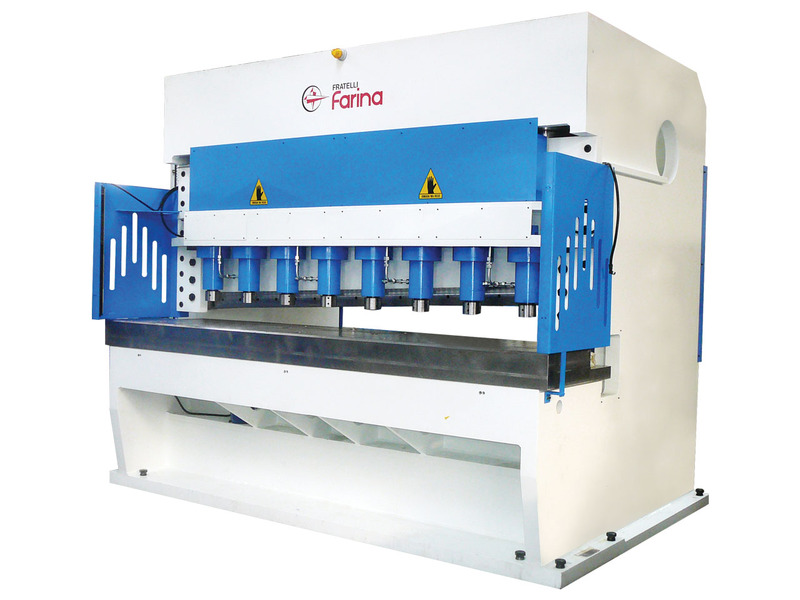 Cutting blades in special-alloyed material. 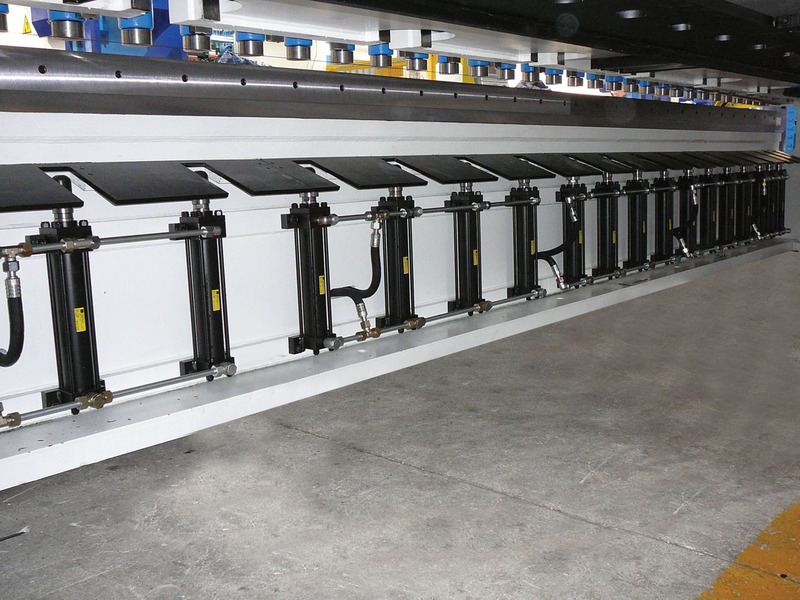 Pneumatic or hydraulic sheet sustainers. Sheet sustainer with double pneumatic movement for descent and inclination. Hydraulic anti-twist system at the lower beam. 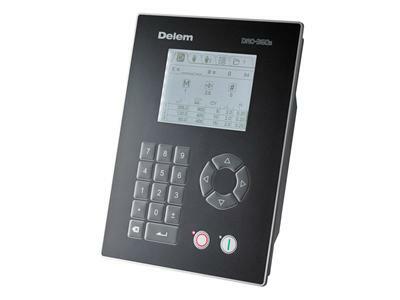 Start-stop technology for power saving. Front and rear light guards for safety. 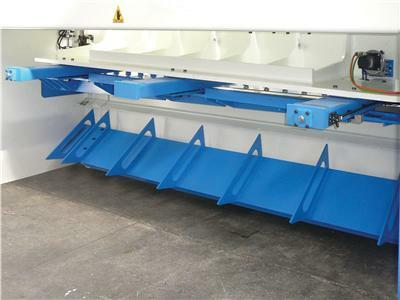 On a guillotine shearing machine the following parameters need to be controlled and/or adjusted in a certain way for the shear to operate effectively. Farina shears utilise these control units depending on the level of automation required by our customers.